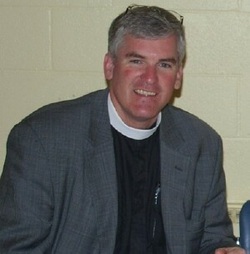 Father Taylor joined St. Mark's in September, 2012. He grew up in Buffalo, New York, but spent most of his post-high school years in North Carolina. Prior to coming to St. Mark's, he served as the Rector of Grace Episcopal Church in Elkridge, Maryland, for twelve years. Before that, he served in the Diocese of Western North Carolina as Associate Rector at St. Alban's, Hickory, and Trinity, Asheville, as well as on the diocesan staff as the Bishop's Assistant for Youth Ministry. Before seminary, he was a commercial loan officer for a bank in Gastonia, North Carolina. He also spent a year after college as a bartender and ski bum at Squaw Valley in Tahoe City, California. Taylor is a graduate of Duke University (1987) and Virginia Theological Seminary (1996). His wife, Kathy, works for Johns Hopkins Hospital. They have two sons, Mason (b. 1998) and Stafford (b. 2000), and a rescue dog named Gracie. Rosemary became organist/choirmaster at St. Mark's in November, 1979. In addition to private organ studies, she has attended many seminars and church music conferences including Westminster Choir College, and the British and French Organ Music Seminars. She received the Presiding Bishop's Diploma in Church Music from the Leadership Program for Musicians and continues to serve on the Diocese of Maryland's Committee on Liturgy and Music. Rosemary has attained the Service Playing Certificate from the American Guild of Organists and is a member of the Association of Anglican Musicians. The LaRoccas have delivered their trademark sound to a multitude of audiences at coffee houses, churches, music festivals, and concert halls throughout the Mid-Atlantic region. 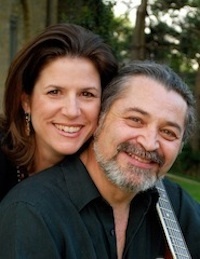 Rick and Margaret began singing together in the summer of 1981 and married four years and many songs later. They are joined in their music ministry by sons Julian and Dominic. Nancy became St. Mark's receptionist and parish secretary in September 1995. In addition to those tasks, she now serves as our office manager. Nancy grew up in Baltimore County in a Methodist family, now lives in Howard County, and is a member at Mt. Zion United Methodist Church in Highland. Nancy and her husband have a married daughter and three grandsons (ask to see pictures!). She enjoys listening to music, aerobic dance classes, reading, and spending time with friends and family.